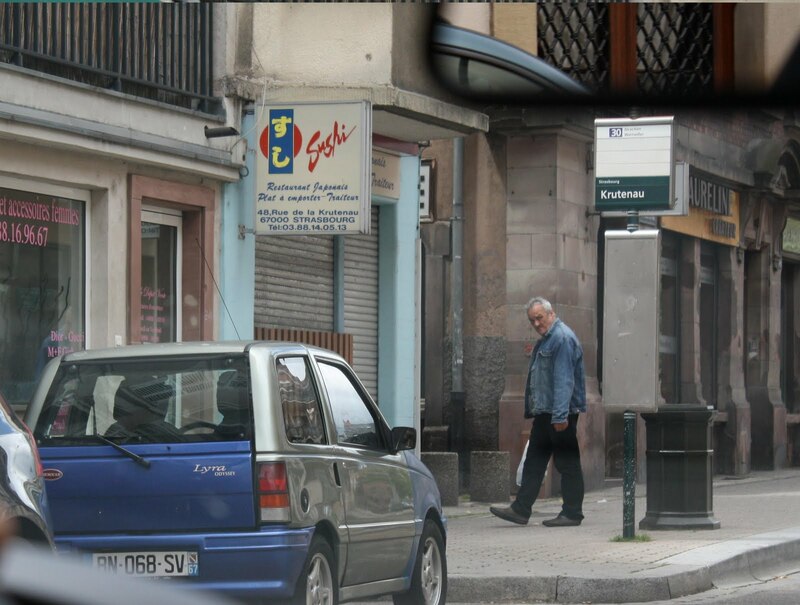 When you have a Lyra Odyssey, this 273cc single thumper equipped French microcar, you can park wherever you damn well please in the city of Strasbourg. And scowl at people taking pictures of it. With a factor of safety of over 100% on the speedometer, the Lyra is capable of a brisk 45kph at the top end while getting about 94 miles per gallon. There is not a lot of information available on any of the Lyra cars but from what I can tell, it's made up of sectioned Fiat Cinquecento parts with a large moped engine and CVT but I'm just shooting from the hip here. Advantages over a moped? At least you get shelter from the rain and don't get quite the number of odd stares when your friend needs a ride.